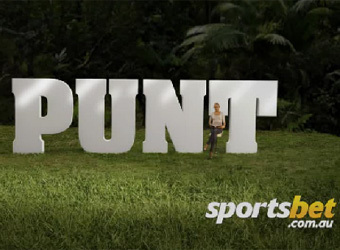 While sports betting messages are succeeding in making the ‘punt part of the game’, their invasive nature may also be causing harmful consumer backlash, a study has found. Conducted by Crossman Communications, the study of 1200 Australians found sports betting agencies have succeeded in ‘normalising’ the practice of placing a bet on sporting events via prolific advertising, sponsorships and integrating betting statistics into match commentaries. However, the sports betting agencies may also be inadvertently harming their own cause with their “aggressive” approach, according to managing director of the public relations agency, Jackie Crossman. “Betting agencies have seized the opportunity to place themselves alongside elite sport, in an attempt to intrinsically link sports and betting, so that taking a punt becomes part of the game,” Crossman explains. Sports betting marketing has raised the concerns of a sizeable group of Australians, the study found. Around one in three believe sponsorship of sporting teams or events by sports betting agencies should not be allowed, and 40% are against commentators providing the latest live odds. In addition to those against, there is a group undecided on the appropriateness of the messaging, with 28% neither for nor against sponsorship and 29% unsure of the practice of odds updates in commentary. One in eight (13%) have more far reaching concerns, expressing the view that sports betting ads are more harmful to the community than tobacco or alcohol promotion. The exposure of young children to the world of sports gambling resulting from the deluge of ads is a worry development that creates a link between gambling and their sporting heroes, Crossman adds. The industry’s advertising spend increased by 13% to $127 million during the past year, according to figures from Sydney media buying agency, Chaos Media. One in five Australians aged 18 to 64 year bet on sporting events at least once per month, with men far more likely to gamble on their game of choice than women at 27% to 9%. Alarmingly, households in low income brackets are just as likely to engage in betting behaviour as those in high income brackets.